It takes brilliant minds and highly talented animators to create something visually refreshing nowadays. That and some more interesting fairy tale folklore like The Snow Queen to derive a new concept from. At first glance, you may be under the impression that Frozen only succeeds as a tantalizing visual feast for the eyes, but you'd be dead wrong. Frozen may be a special effects filled force to be reckoned with on technical levels, but it's also a seasonally appropriately released feature with wits and heart. Elsa (Idina Menzel) is a young child and princess who mysteriously inhabits the power to inadvertently freeze anything she comes into contact with. Its not a power she asked for, but after almost accidentally killing her sister Anna (Kristen Bell), its evidently clear that she cannot control the magical power. This results with the King and Queen locking Elsa into her room, destining her to a quarantined life of loneliness and confinement throughout her youth. After an unrelated unfortunate accident, the King and Queen perish, forcing Princess Elsa to reenter society and claim her rightful status as Queen. Elsas sister Anna, is more easygoing and down to Earth, perhaps too much so. For example, she becomes engaged to a Prince named Hans (Santino Fontana) within the timeframe of a day, solely because hes got some charming good looks. Immediately after accepting the proposal she asks her sister Queen Elsa for marriage consent amidst her coronation ceremony. Accounting for the fact that Elsa is already trying to keep her ice powers under wrap, this startling news tips her over the edge, causing her to completely bombard the realm with ice before running away from all responsibility. Anna is provoked to seek out her sister in the hopes she can restore summer, and befriends a traveling ice merchant named Kristoff (Jonathan Groff) along the way. Kristoff is an odd fellow that has conversations between himself and his loyal reindeer companion Sven. Together they befriend an inexplicably talking snowman named Olaf (Josh Gad), along their journey to find Elsa and make things right. Right off the bat though, its disappointingly obvious how the majority of Frozen will play out. Thats actually mitigated though because theres some fantastic execution littered throughout the story. as it gets across all of its earnest messages of love, friendship, sisterhood, loneliness, and responsibility. Its a story written in ways that both children and adults can not only enjoy, but take something away from. A good portion of that success definitely comes from Annas character too, who at first strikes you as this one note cliché of how shallow women act, but slowly transforms into a character all audiences can root for as the events unfolding around her demand her to take charge and mature. Looking back, Annas character from the ending bared no resemblance to her portrayal in the beginning, proving that Disney succeeded in taking their typical Princess character and imbuing her with strength and courage. Elsa also has some truly defined characterization despite having  what feels like- the least amount of screen time in the film. Its evident that Disney wanted to flesh her character out throughout the majority of the early musical numbers, and they succeeded. Its incredibly easy to sympathize with the fact that a lot of her life has been stolen over powers she cant handle. Speaking of the aforementioned musical numbers though; they are some of the best musical sequences Disney has produced in a long time. Its a combination of both the singing being vocally beautiful, but the lyrics getting across pertinent plot themes that again, really help expand on how characters are coping with various plot points. For example, after Elsa abandons her royal duty as Queen, she isolates herself in the wilderness and erects an ice castle atop a mountain, throughout a crowd pleasing number titled Let It Go . 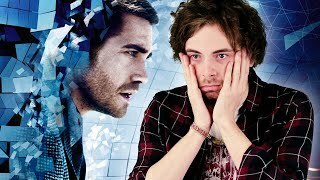 The song masterfully gets across Elsas pain and mindset of preferring solitude, and I wouldn't be shocked if it wins an Oscar or at least receives a nomination. In addition to how beautiful everything sounds, the animation and effects look absolutely stunning. Ive always been a firm believer that if you truly want to blow peoples minds with special effects, create something extravagant around an Icelandic setting with light blue color palettes, richly detailed snow, and high production ice physics. The act of simply water freezing over into ice as Elsa walks over it looks magnificent as do so many other scenes. Frozen deserves awards for its technical prowess, rich environments, and lifelike character animation. The only aspect that may be a slight bit off-putting to older viewers is the aforementioned talking snowman Olaf. He really doesnt seem to serve a true purpose to the plot, but rather exists as more child accessible humor to balance out what is indeed a more mature Disney plot. His presence never bothered me, but it feels like Sven the reindeer already charismatically fulfills the obligatory animated animal character quota. Overall, the filmmakers did use Olaf sparingly and carefully oversaw how they used him, instead of having him unbearably overpower a good story. 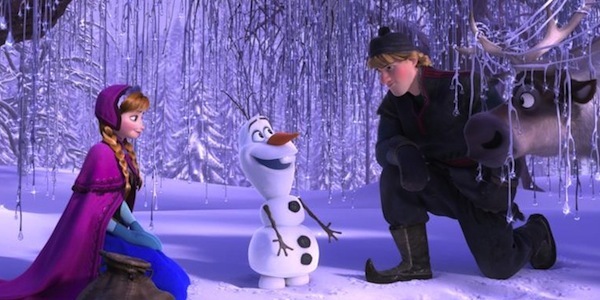 Frozen is without a doubt the best animated film to come out of North America in 2013. It has a giant heart with a great story chockfull of useful themes and life lessons for young children and adults alike. More importantly, with the consistent success of many Disney princess films lately, its almost as if they found a way to rejuvenate the sub-genre and are embarking on another golden age of animated features. 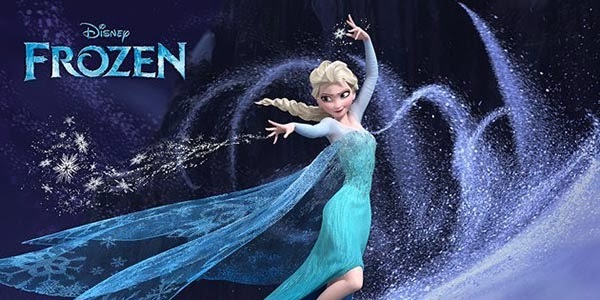 Frozen is playing in US cinemas now!